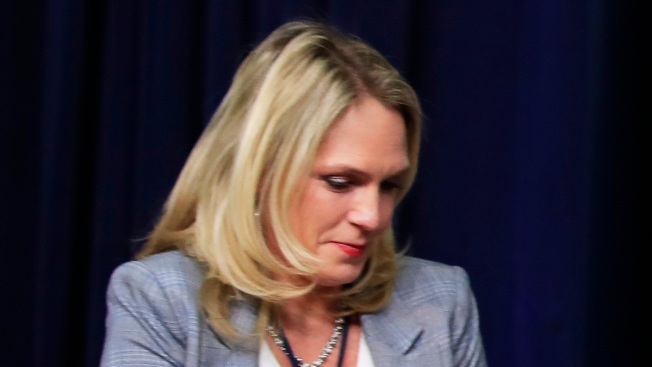 In this March 22, 2018, file photo, special assistant to the president Kelly Sadler attends a forum at the Eisenhower Executive Office Building on the White House complex in Washington. President Donald Trump met with his fellow Republicans to talk domestic policy Tuesday, while the question of whether the president owes Sen. John McCain, R-Ariz., an apology loomed over the meeting. 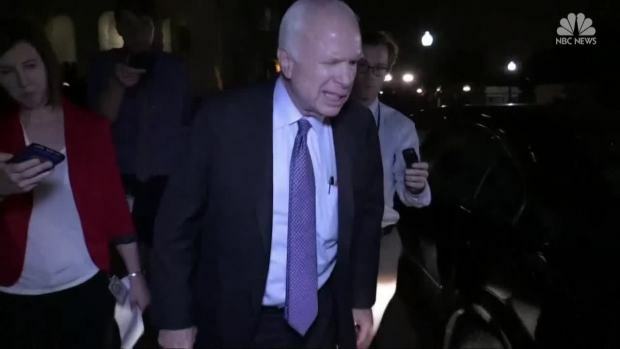 Last week a White House aide reportedly mocked McCain's fight with brain cancer.